In previous posts, we have discussed some of the potential benefits of knowing your genetic status with regards to Parkinson’s. For example, knowing if you have a certain genetic risk factor could make eligible for taking part in a particular clinical trial. There may, however, also be some benefits in NOT knowing your genetic status. New research suggests that simply learning of a genetic risk can alter one’s physiology. In today’s post, we will review the results of this new research and discuss what it could mean for the Parkinson’s community. 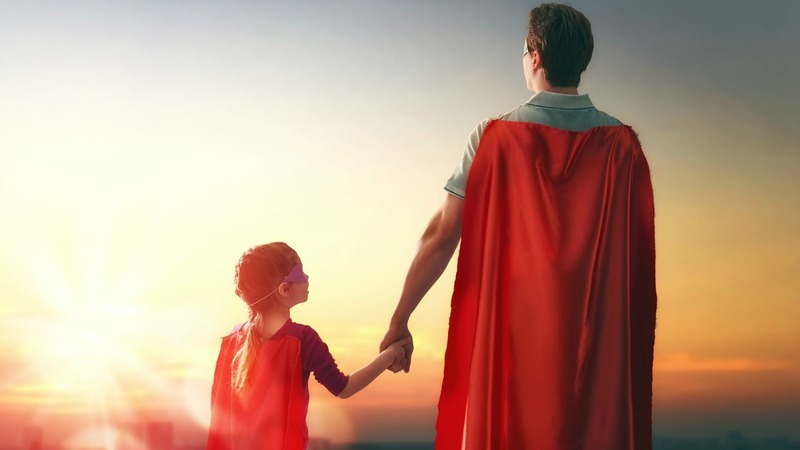 When I was a kid, I thought I was superman. Then one of the adult figures in my life told me that I wasn’t. And all of a sudden I lost my ability to fly. Many years have gone by now, and its only recently that I’ve discovered that that person was actually wrong: I am Superman. The power of suggestion has always amazed me. Whether it is based on what others tell us, or on what we tell ourselves, it is truly wonderous the enormous impact some of the information we are given has on our lives. We seemingly get told something and quite often it is just accepted as gospel. But as we take in that information, there can also be consequences (perceived or otherwise) resulting from that knowledge. And this can have important implications for us and how we interact with the world. In fact, some information that we absorb can affect our very physiology. There is a wonderful field of research called psychoneuroimmunology (in my next life I want to come back as a psychoneuroimmunologist). Also referred to as psychoendoneuroimmunology or psychoneuroendocrinoimmunology, psychoneuroimmunology involves the study of the interaction between psychological processes, the nervous system, and the immune system. Basically, how does the psychological state of the brain affects our body’s ability to defend itself. Interesting, but can you give me an example of psycho-neuro-immuno-whatever? A good example is stress. Large epidemiological studies have demonstrated that chronic stress – during both childhood and later adult life – can predispose individual to the development of mental health problems in adulthood. Researchers believe that the release of cytokines (protein messengers in the body) may cause changes in the brain which increase one’s risk of developing a mental illness later in life. Click here to read a good OPEN ACCESS review on this topic if you want more information. In this study, the researchers found that by simply telling individuals that they have particular genetic mutations can alter the physiological functions in their bodies. What do you mean by genetic mutations? In biology, when we refer to a genetic mutation we are talking about changes in DNA (which can affect the subsequent protein). Many researchers prefer the words genetic variations, as the changes (or mutation) observed in DNA can vary greatly in size and nature. It is important to understand, however, that there is nothing special about mutations. Title: Variation in genome-wide mutation rates within and between human families. Authors: Conrad DF, Keebler JE, DePristo MA, Lindsay SJ, Zhang Y, Casals F, Idaghdour Y, Hartl CL, Torroja C, Garimella KV, Zilversmit M, Cartwright R, Rouleau GA, Daly M, Stone EA, Hurles ME, Awadalla P; 1000 Genomes Project. Journal: Nat Genet. 2011 Jun 12;43(7):712-4. But what is actually meant by these small genetic variations? 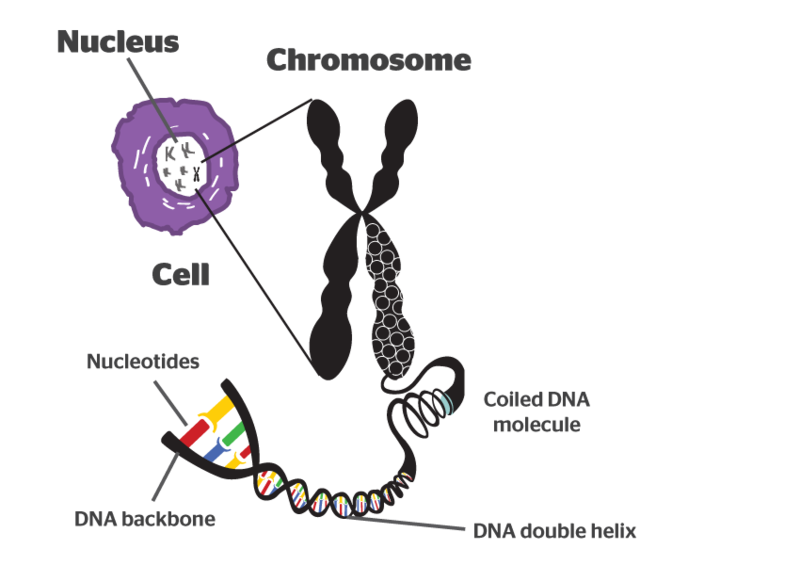 What exactly is a mutation in DNA? The information stored in DNA provides the template or the instructions for making (and maintaining) a particular organism. All of the necessary details are encoded in that amazing molecule. These strands are called ‘nucleotides’. These are organic molecules which contain one of four bases – the familiar A, C, T & Gs that make up our DNA code. These nucleotides form pairs (called ‘base pairs’) which then join together in long strings of DNA. Humans have 23 pairs of chromosomes. And the mutations we are talking about today can occur in any of these chromosomes. Now, if DNA provides the template for making a human being, it is the small variations in our individual DNA that ultimately makes each of us unique. And these variations come in different flavours: some can simply be a single mismatched base pair (also called a point-mutation or single nucleotide polymorphism), while others are more complicated such as repeating copies of multiple base pairs. An example of how these variation can make us who we are is red hair. 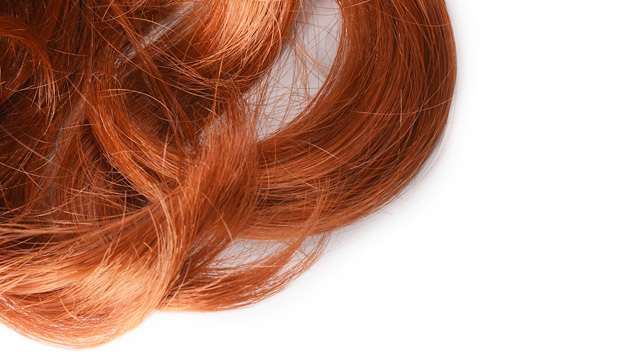 The fact that an individual has red hair results from a variation in a region of DNA (called MC1R) on chromosome 16. Actually the genetics of red hair is more complicated than that – click here to read more about this. These variations can occur in regions of DNA that have no apparent function, and they can also appear in more functional regions (which are called genes). These genes provide regions that can be turned into RNA, which can in some cases be used to make protein. An important aspect of these variations in genes is that you have two copies of each gene (called alleles). One copy from your father, and one copy from your mother. Call it mother nature’s insurance policy, if one copy of a gene is faulty, you have a back up. But sometimes one copy is not enough, and this can lead to problems. Only one copy of the variant needs to be provided by one of the parents for a condition to develop – this is called an ‘autosomal dominant’ disease. It is important to understand that most of these tiny genetic changes result in no impact on an organism. Either the region of DNA is not important, or biology is able to adapt and find a way around the problem. Other variants can infer traits that may be considered beneficial, for example, some people have a genetic mutation in the CCR5 gene. HIV uses that protein to enter into human cells. 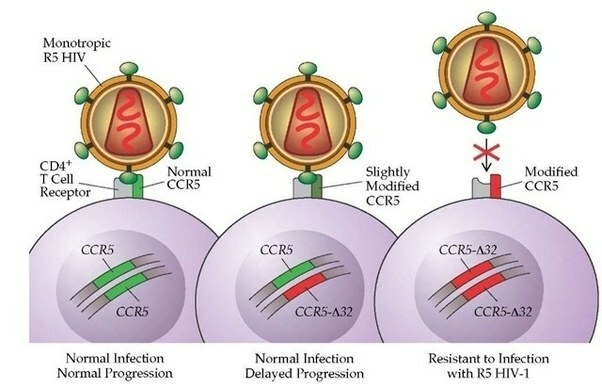 Thus, if a person has a mutation in CCR5, they are extremely unlikely to become infected by the virus. There are, however, some genetic variation that are of a more serious nature – leaving the animal potentially vulnerable to developing a condition (such as BRCA1 mutations in breast cancer). The CREB1 rs2253206 genetic variant is associated with poorer aerobic exercise capacity (Dear lord, I’m assuming I’m a carrier of this one! – click here to read more about this). The FTO (fat mass and obesity-associated gene) rs9939609 genetic variant is one of the best-studied genetic risk factors for obesity (Click here to read this). One to three weeks later the participants were then invited back and asked to take part in either an exercise experiment (116 participants) or a food experiment (107 participants). In both cases, the participants were asked to provide a baseline measure. 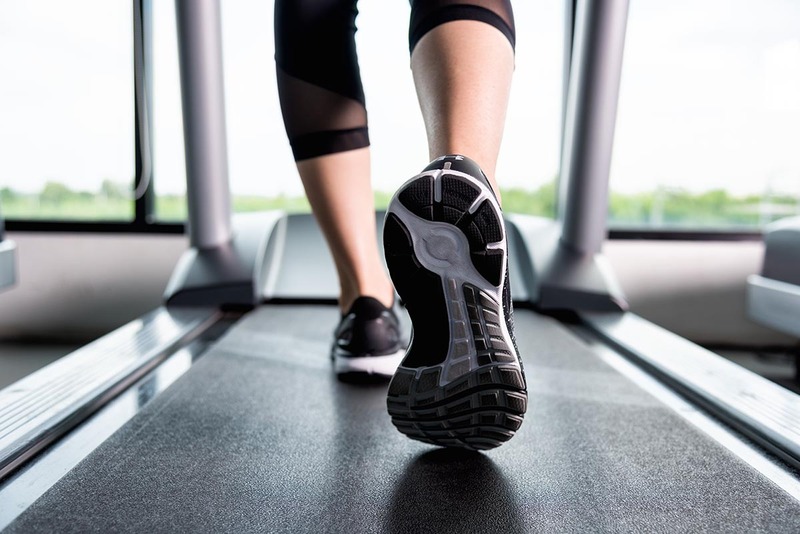 For the exercise study, the participants were asked to run on a treadmill and have their cardiorespiratory activity assessed. A measure of endurance and subjective experience were also taken. In the food experiment, the participants were asked to eat a a 480-calorie meal (my kind of experiment! ), after which the physiology of their gut and feeling of fullness were then measured. Once the baseline measures were made, the real experiment began. But here is the twist in the tale: this was randomised assignment, regardless of actual genetic status. The participants were simply divided into two groups, which subsequently contained individuals with the risk variant and individuals without the risk variant. That is to say, some of the participants randomly assigned to the high risk group (the supposed carriers of the genetic variant) did not have the genetic variant. And some of the participants randomly assigned to the protective group did have the variant. The researchers “hypothesized that individuals in both experiments who were informed that they had a high-risk genotype would exhibit maladaptive changes in subjective experience, behaviour and physiology because of the expectations given to them in their genetic test report., while individuals who were informed that their genotype was protective would experience improvements in those same measures“. The participants were then invited back to repeat the exercise test or the diet test (depending on which experiment that took part in). But before doing the test, the participants were given their genetic status (high risk or protective) and then the test was conducted. The same measurements were taken and assessed, but the subjects were doing the tests having just been told their ‘supposed’ genetic status. The results were simply remarkable. The researchers found that participants who were told that they have the high risk group for exercise (that is, they carry the genetic variant associated with poor aerobic exercise capacity) performed much worse on the treatmill test. The results suggest that their lung capacity and endurance were much reduced and they were less efficient at removing carbon dioxide in the second treadmill experiment than the first (which was conducted just one week prior). Interestingly, participants who were told they have the protective gene variant performed the same as they had in the first treadmill test. So negative information apparently resulted in a poorer performance in the exercise experiment, while positive information had no effect. And remember, that this was fictitious genetic information the participants were being told – there were actually a mix of genetic variants in both groups. In the diet experiment, the researchers observed a very different outcome: the participants who were told that they have the protective version of the gene (that is, they were genetically less prone to obesity) actually performed better after the second meal experiment. In fact, they produced 2.5 times more of a hormone that signals fullness – and this change occurred despite the fact that the meal was identical to the one they had eaten the week before. Curiously, the participants who were told that they are in the high risk group (that is, genetically prone to obesity) exhibited little change in their results compared to the baseline measures (regarding how full they felt or their hormone levels). So in this context, the negative information had no effect, while the positive information altered physiology. The actual differences between the fictitious groups were in some cases even bigger than the real differences the researcher saw as a result of participant’s results based on their real genetics. The results suggest a kind of placebo/nocebo effect occurred. What do you mean placebo/nocebo? The word ‘Placebo’ comes from the Latin phrase for “I shall please“. It is present in Latin text of the Bible (Psalm 114:9, Vulgate version by Jerome: “Placebo Domino in regione vivorum” or “I shall please the Lord in the land of the living“). Curiously though, it was only in the 18th century that the word actually began to appear in medical literature and even then it was associated with prescribing mild treatments (eg. sugar milk) that were intended to ease the patient’s mind more thatn offer any direct remedy. The placebo effect is a relatively recent phenomenon: It was in 1946, E. Morton Jellinek described the “placebo reaction” or “response” (Source). The placebo effect is simply a beneficial effect produced by a treatment, which cannot be attributed to the properties of the treatment itself. By contrast, there is also the nocebo effect. From the Latin phrase for“I shall harm”, nocebo was originally coined by Walter Kennedy in 1961. 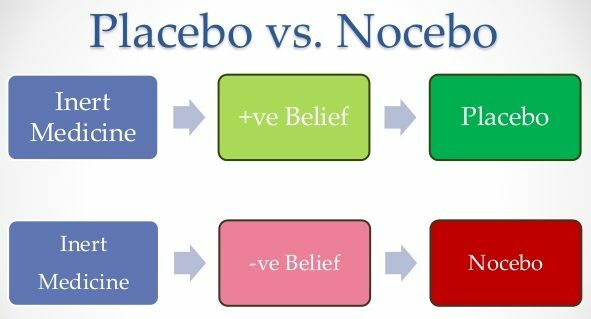 The nocebo effect occurs when the negative expectations of a treatment cause a more negative effect than it should otherwise have caused. Interesting, but what does any of this have to do with Parkinson’s? There is a genetic component to Parkinson’s. Approximately 10-20% of cases of Parkinson’s is associated a growing set of genetic risk factors (Click here to read more about this). There are a lot of companies now offering direct-to-consumer DNA sequencing/analysis services. Spit in a vial, post it off to the company, and a few weeks later they will send you back results explaining whether you have any common genetic risk factors for conditions like Parkinson’s. The results of this anaysis can have a major impact on the recepient if they are not prepared for it. And the effect might be delayed if the individual does not understand what a particular variant means and they go looking on the internet for information. Such searches can be misleading. Thus, caution must be taken when dealing with this kind of information. As we have said numerous times on this website: having one’s DNA analysed should be done with your doctor and using a genetic counselling service, as there could be information disclosed that may have a negative impact on an individual. Ok, so perhaps I shouldn’t get my DNA analysed for Parkinson’s genetic risk factors? I don’t want to learn something negative about… say my rate of disease progression. Just because you have a genetic risk factor for Parkinson’s, does not mean that you are going to develop Parkinson’s. These genetic variants are only associated with the risk of developing Parkinson’s. If you have the genetic variation for the neurodegenerative condition of Huntington’s, then yes you are definitely going to develop that condition (at some point in your life). But we do not have this level of certainty in Parkinson’s (quite the opposite in fact). We can not currently predict who is going to develop Parkinson’s based on their DNA. And we see this in the identical twin studies, where the pair share identical DNA (and the same Parkinson’s risk factor), but only one of the twins develops Parkinson’s (Click here to read an old SoPD post discussing an example of this). While we have identified numerous risk factors associated with developing Parkinson’s, we have very little information about the genetics of disease progression. The former (risk factors associated with developing PD) is easy to establish – collect DNA from a whole bunch of people with Parkinson’s and look for genetic variations that are not present in the DNA of a control population. Determining the genetics of disease progression, however, is a much more complicated task. You basically need to collect clinical data from a very large group of people with Parkinson’s and look for genetic variations associated with different aspects of clinical presentation. For example, a genetic variant that is associated with faster progression, or perhaps cognitive issues. And the genetic risk factors for developing Parkinson’s may have absolutely nothing to do with actual rate of progression. And even if those risk factors for developing Parkinson’s do affect progression, they are definitely not working in isolation. There are an estimated 19,000-20,000 protein-coding genes in human DNA. Tiny genetic variations in many of those genes may be impacting progression – either speeding it up or slowing it down. We simply do not know which genes have these affects, but in many cases the opposing forces of different variant may help to cancel out a certain level of impact. A great deal of research is now looking at this issue, but at present it is very difficult to predict disease progression based on the results of having your DNA sequenced. And we may never be able to accurately predict the nature of an individual’s Parkinson’s using just DNA analysis alone (perhaps environmental factors are the primary influence). Take home message: We just don’t know enough about genetics yet so don’t read too much into your genetic test results. So you are saying that there is very little information to be gained from having my DNA sequenced? On an individual level, our understanding of the genetics of Parkinson’s is extremely limited. In that case, why should I even bother having my DNA analysed? In the previous post on this website I explained what I would do if I was diagnosed with Parkinson’s today (Click here to read that post). A large chunk of that outline involved getting my DNA sequenced and analysed. And my stance regarding this has not changed. I still believe that more is to be gained – both personally and on a macro (research) level – by going through that process. Having one’s DNA analysed is a personal choice that everyone in the Parkinson’s community should make for themselves. But for me, the information gained would form part of the foundation of how I would personally approach dealing with the situation. And I appreciate that I have just written (in the section above) that little information can be taken from the DNA analysis, but I would be seeking to take part in clinical trials if diagnosed, and such knowledge of one’s genetic status could provide opportunities in this regard. If I carry a GBA mutation, I would focus on GBA-associated clinical trials. If I carry a LRRK2 mutation, I would focus on LRRK2-associated trials. In addition, most of the recent progress in our understanding of Parkinson’s have flowed from a better understanding of the biology underlying genetic forms of the condition. If diagnosed today, at the very least I would want to make a small contribution to the future of that research. I see. So summing up, what does it all mean? New research indicates that knowledge of one’s genetic status can affect physiological activity in the body. 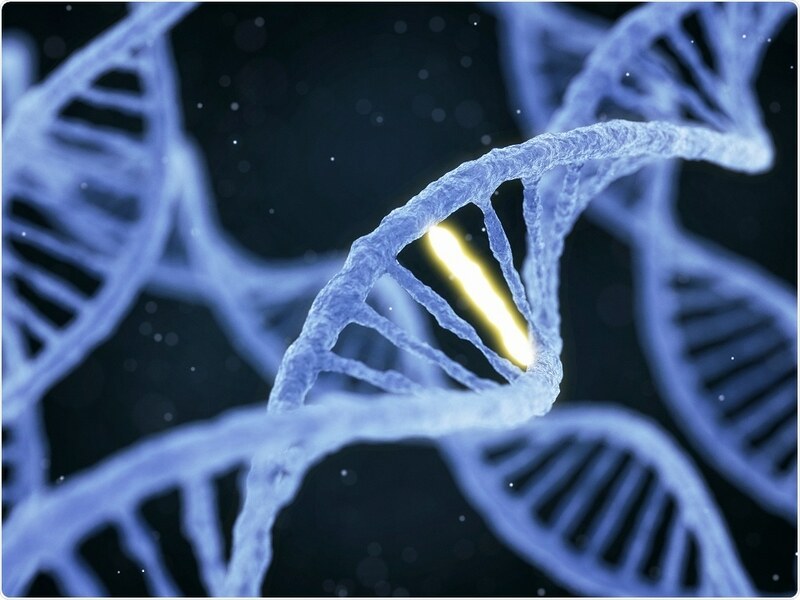 The findings reaffirm that we need to be careful with the handling of genetic information, as the results of DNA analysis can have very real effects on individuals – both mental/emotional and physiological. I have been contacted recently by numerous readers who have had their DNA sequenced and they have been informed that they carry a genetic risk factor for Parkinson’s. 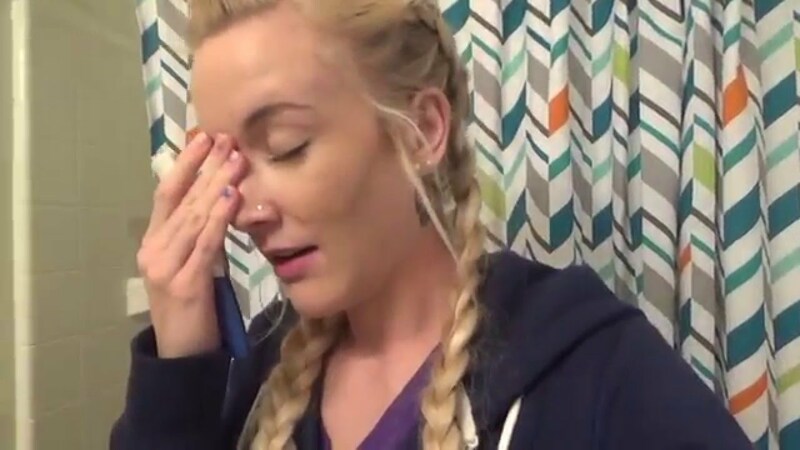 They have gone on to do some reading, and (in several cases) gotten themselves into a bit of an anxious state, worried that they may have a more rapid-progressing form of the condition (based on their genetics). It is important in the case of Parkinson’s, to understand that we simply do not know enough about the genetics of Parkinson’s to be able to predict outcomes. Thus, knowledge of one’s genetic status (with regards to Parkinson’s) should not affect one’s outlook or physiology. Dealing with the diagnosis is hard enough. The take-home message here is: be careful what you believe and who you listen to. And you know you can trust what I’m saying.